i cili aplikohet per here te pare nga Festivali i Karlovy Vary ne bashkepunim me Eurimages dhe ka ne fokus projektet ekspermimentale ne forme, permbajtje dhe ne konceptin e produksionit. Afati per aplikime eshte shtyre deri ne dt. 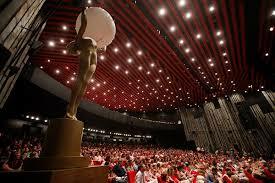 13 Maj.
First time ever, Karlovy Vary IFF will select a recipient of the Eurimages Lab Project Award. The award of 50 000 EUR is intended for the most promissing cutting-edge film project, which is made outside traditional rules of filmmaking both in terms of dramaturgy and production. The deadline for submissions is extended to May 13, 2016. The traditional presentation of the new highly promising films in post-production or recently finished films from Central and Eastern Europe, the Balkans, Turkey and the former Soviet Union will be held for the 13th time. The last years winner Park (Greece, dir. Sofia Exarchou) was awarded 10 000 EUR in post-production services. 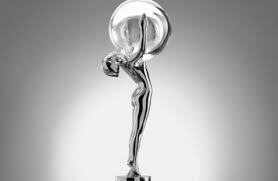 This year’s award will reflect efforts to promote Czech Republic as a destination for production and post-production and will combine cash award of 10 000 EUR and far more substantial post-production services (TBA). The deadline for submissions is May 13, 2016. A presentation of the finest Central and Eastern European creative documentary projects in the stages of production or post-production. This prominent event hosts twelve carefully selected feature-length documentaries. The event gives a space to directors and producers to present their documentaries to an audience of film industry experts. The deadline for submissions is April 30, 2016. If you are planning to visit the 51st Karlovy Vary IFF, please note that Industry Accreditation requests close on June 6, 2016. It will not be possible to apply for Industry accreditation after this date, even during the course of the Karlovy Vary IFF. KVIFF‘s Industry Days 2016 will take place from Sunday, July 3 to Wednesday, July 6. Hundreds of producers, buyers, distributors, sales agents and film festivals representatives are expected to attend a wide range of industry events on these days.